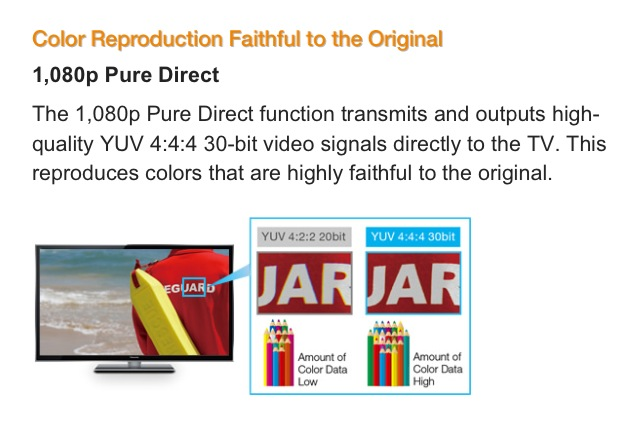 Panasonic is touting this on the 2012 VT50,GT50 series plasmas. "If you choose to output 4:2:2 from your player to the display, then the display will need to do the scaling to 4:4:4 and then to RGB. If you output 4:4:4 to the display, the display will not need to do any scaling at all, but will need to do the conversion to RGB. If you output RGB to the display, then the display can avoid all conversion steps and send the signal right to the controller. No matter which you choose, the same conversion steps are still happening; all you are choosing is which device is performing the conversion." which IMO would contradict your statement bellow. Of course we do know for the fact, that a lot of TV's subsample signal to 422 and all I want to know is why and how to fix it. 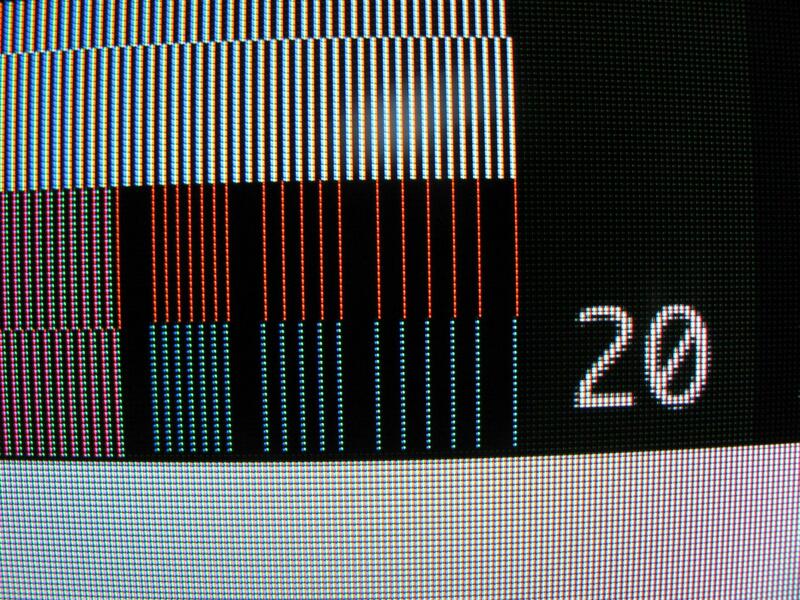 If it's hardware limitation, we kind of out of luck, if it's some software issue - to speed up calculations for frame interpolation in 120Hz TV's for example - I would gladly get rid of frame interpolation and all this 120Hz nonsense to get true full RGB pass through from computer. Most video processors in TVs convert everything to 4:2:2 YCbCr internally before they do any scaling/processing. You should use YCbCr output for Blu-ray and DVD; the encoded video is in YCbCr and a conversion to 8-bit RGB is slightly lossy. Better to let your TV do said conversion in its processing pipeline especially if it converts back to YCbCr internally. 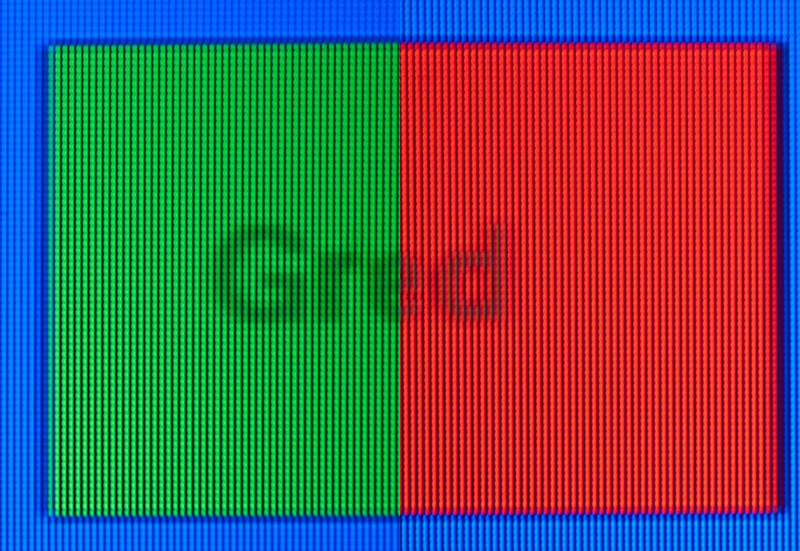 A 8-bit native sRGB signal has a significant loss upon conversion to 8-bit 4:4:4 YCbCr (luma codes are preserved, however many of the chroma codes end up not being used.). I dont believe that conversion back again has this same issue. Here are my results for the Samsung LE32D550. That's the European (UK) LE model. Turns out it's totally different to the LN (US) model. Sadly, it does not pass 4:4:4. Using an nV card, I even applied the EDID override fix, and I'm using the correct HDMI port (labelled DVI/HDMI). Unlike the US model, there is no "input" section in the TV's menu. 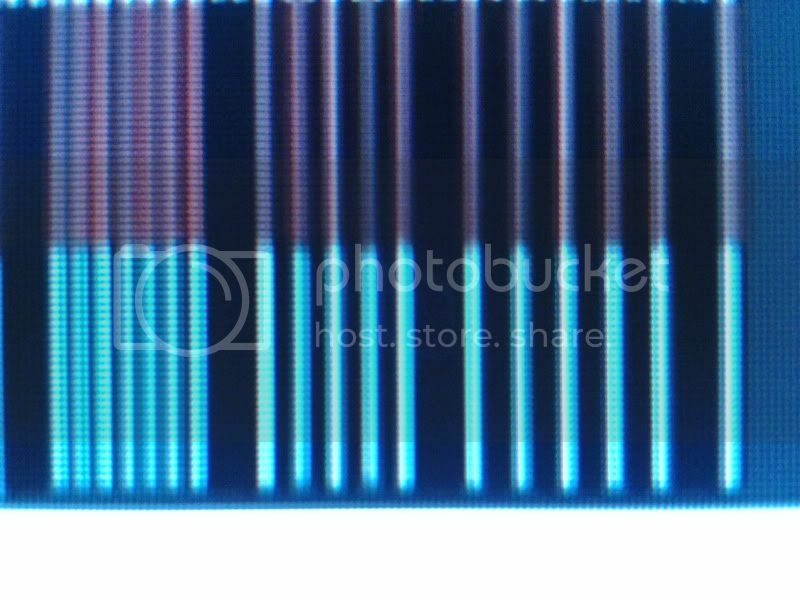 In this first pic, notice that underneath the red tick, to the right of the vertical black line, there are blue subpixels turned on. You can quite clearly see between the exclamation marks that the colour is not the correct background colour (grey). Fortunately for me, this TV has 3 dead pixels in the centre. I will be returning this one for a refund. Lastly, it is insanely hard to find a 4:4:4 TV in the UK. Insanely hard! I've picked up a Samsung 32LND550 (SQ04) and I can't seem to get 4:4:4 working. 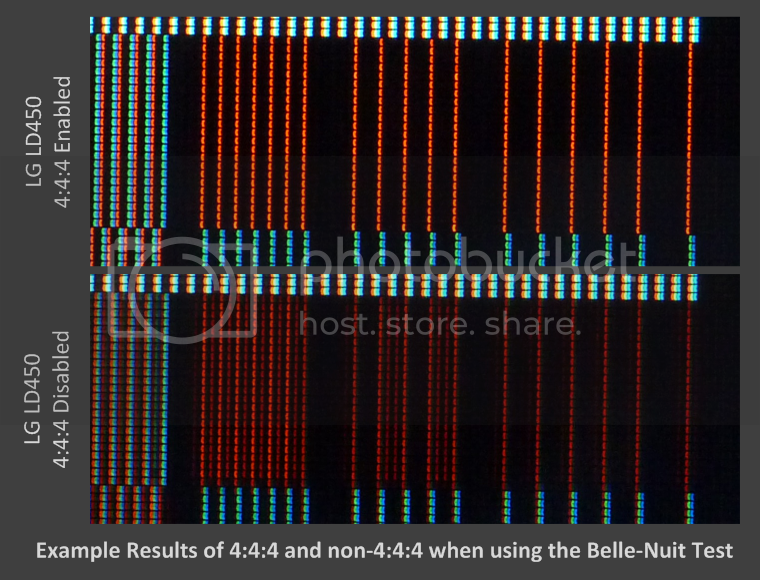 If I turn the HDMI Black Level to Low it passes the Belle-nuit chart (Link) however text still looks bad. I believe turning the Black Level to Low just crushes all detail in dark areas. 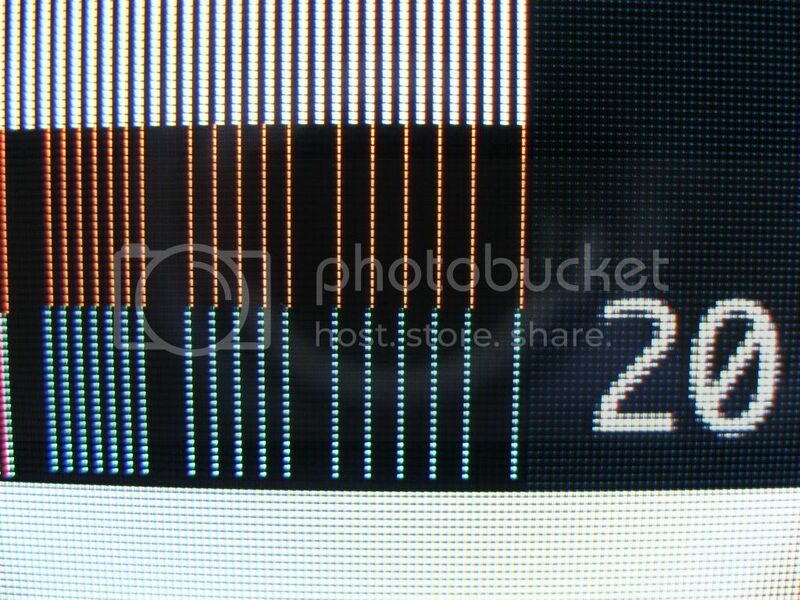 If you notice the pixels around the 20 you can only see the green subpixel. Shouldn't you be able to see all 3? S-IPS version. DVI to HDMI cable + EDID override fix. Used my smartphone to capture image. I PM'd AVS member Antipodes, he seems to know the Samsung D550 really well, and he also happens to own the LG LK450. Hopefully he can offer some clues or insight. I'm also going to link the extended info you posted at the [H]ard forums in case anyone else is willing to dissect the problem you're having. T6) I want to use a HDMI->HDMI cable (because I want HDMI audio), can I still get 4:4:4? From my experience and observations, the answer is no. As mentioned previously, *something* relating to HDMI audio extensions causes 4:4:4 to fail. Only by disabling the HDMI audio extensions (via a DVI->HDMI cable and/or EDID Override) will 4:4:4 become enabled. I have yet to encounter someone that has 4:4:4 working over a HDMI->HDMI (w/ HDMI audio) connection. On my LG 42LK450 and ATI R6870, first I tried using HDMI->HDMI cable. ATI CCC itself offers 4:4:4 subsampling, but it doesn't work. Then I tried disabling EDID extensions. ATI CCC detected the TV as a regular monitor, but the picture was still 4:2:2. Then I used a single-link DVI->HDMI cable and it worked instantly. PS: Previously, with HDMI->HDMI cable, "PC mode" did 4:4:4, but the sharpness and other controls were disabled on the TV. With DVI->HDMI I get 4:4:4 on every mode. Just to chime in, the Sony KDL55BX520 does 4:4:4 over HDMI using Game or Graphics "Scene" modes. Verified with the test images. Also supports HDMI audio at the same time as well. Using this TV with my Mac Mini, which is connected to my Yamaha Receiver (HDMI to HDMI) which is then connected to my TV. Getting 5.1 audio through VLC and PC games. Sony XBR-65X900E, Denon AVR-X2300W, Polk CS20 Center, Polk Monitor 75T Fronts, Polk TSI300 Rears, Power Sound Audio S1500 Subwoofer. I've made an extensive amount of posts recently over at [H]ard|Forum about the iSymphony LC32iF90 but, I wanted to share a condensed version here. Please make sure to add it to the avoid at all cost list. I recently picked this TV up from Conn's for $279.99. Unfortunately, once I hooked it up to multiple PCs, I found out the native resolution is 1280x720p. This is in direct conflict with the box and specifications that the native resolution is 1920x1080p. 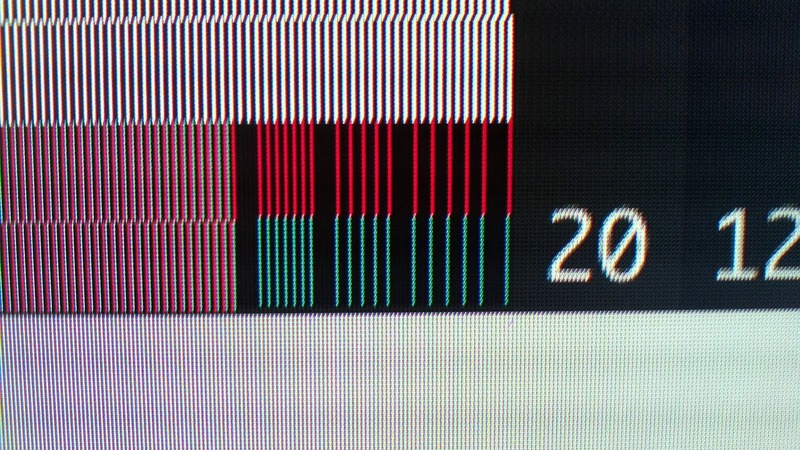 Yes, it's true that you can tell Windows or the video card driver to change the resolution to 1920x1080p. However, you shouldn't have to do so and, any resolution over 1280x720p will force the TV to overscan which will cut off a great deal of the picture including your entire taskbar. The only way to correct the overscan is to use your graphics card's underscan feature which will result in it running at a lower resolution than 1920x1080p or whatever you set it to. There is no option in the TV settings to switch to a 1:1 pixel mapping as you can only change the TV to "wide (16:9) or "normal" (4:3). 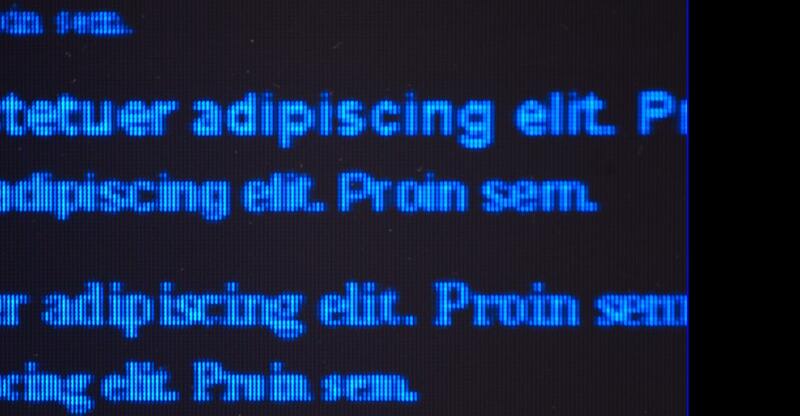 In addition to this, text on the PC was multicoloured in any progressive scan resolution higher than 1280x720p. 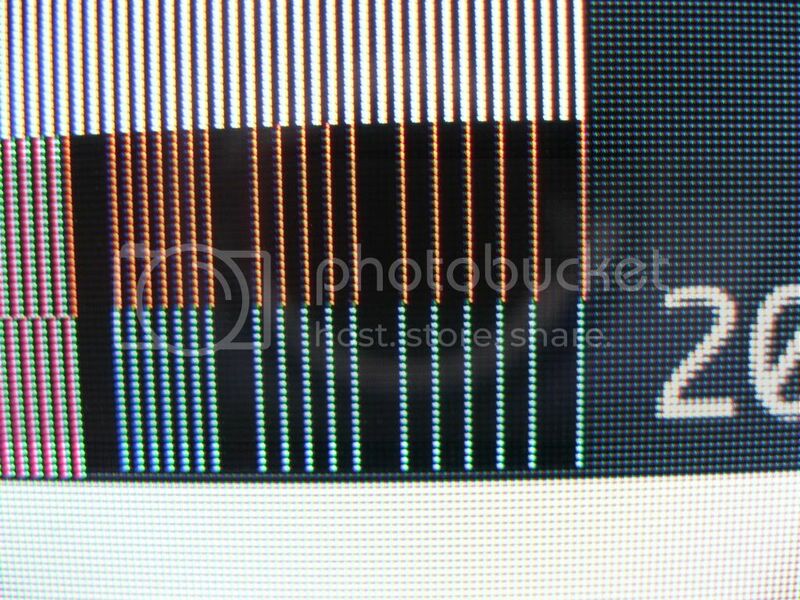 All interlaced resolutions above 1280x720p removed the multicoloured text issue but, they created a flicker when you would open/close programs or use a scroll bar. This TV also failed 4:4:4 chroma colour tests. It's not advertised as having 4:4:4 chroma but, it is crucial that a display being used as a PC monitor is able to run in the 4:4:4 chroma profile. I called the manufacturer after I called their parent company to get their number (800-710-7740) as their technical support line sends you directly to voicemail. I was hoping they could clear this matter up or provide a possible solution. Instead I was told that there is nothing they could do because, it "wasn't their TV". They didn't even understand the importance of the native resolution until after I explained it in detail. Even then I was told there was nothing that they could do because, they "didn't manufacture it". Once I told them that other TVs sold with a native resolution on 1920x1080p do not have this problem, I was told I couldn't "compare TVs to one another as they have different components". My response was that yes you could compare TVs as that is how comparative shopping works. Even if you ignored competitive shopping, there is still the issue that this TV is being sold as having a native resolution of 1920x1080p. When something is advertised as having a native resolution of 1920x1080p it has to actually have that as the native resolution on all of its input channels. This is an industry standard and all manufacturers are bound to it. Even if you do not plan on using this TV for computer use, I advise you to not purchase it as you will not be getting what you payed for since the native resolution is 1280x720p and it is being falsely marketed as 1920x1080p by iSymphony. In addition to that the manufacturer refused to take any responsibility for the issue so they are far from reputable or trustworthy. I would also like to point out that the TV is incredibly slow to respond to the remote control. Switching to a different input is also very slow and, you have to sit through an incredibly bright and painful "loading screen" that is white and then a very pale lavender every time you switch to a different input. To stress how bright this screen is, picture your contrast, brightness, and the backlight as high as they can possibly go. 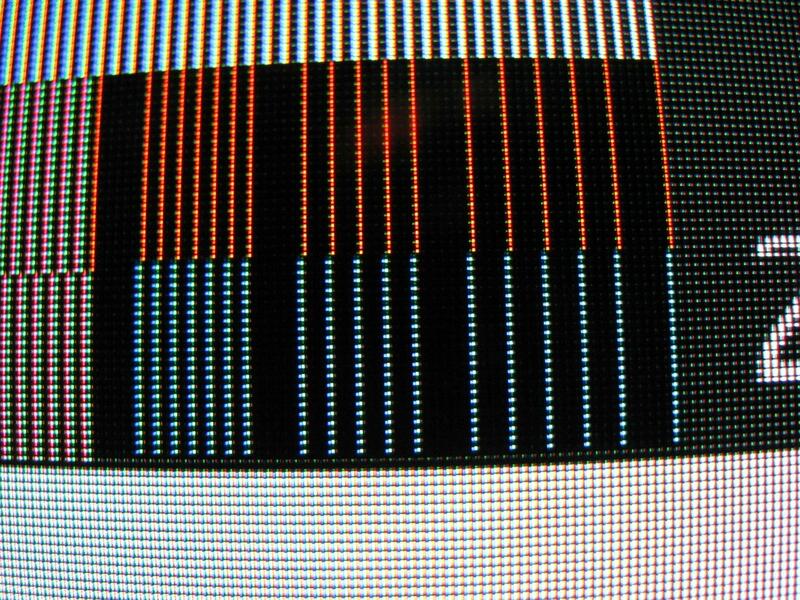 After the TV has successfully switched to another input, you can watch it "re-process" the image several times as the colour, contrast, and brightness will all change considerably multiple times. There is no way to turn this processing or any other processing off except for the cable clear one which does nothing. There is also no way to adjust the hue (R/G/B) which is the white balance and the TV's menu is incredibly limited as it is missing basic functions like a backlight adjustment. There is also no way to adjust sharpness over a VGA signal and that signal is in dire need of having it sharpness reduced. I know the reviews here at Amazon speak very highly of this TV but, I suspect they haven't figured out that it is actually a 1280x720p native resolution TV. The one I purchased also had light bleed in the corners, cross talk during a viewing angle shift, and some minor clouding. The image also "washed out" very rapidly from a minor viewing angle shift and even looking at the TV in the center would leave the sides a bit "washed out". The colours and back levels were actually fairly nice but, you had to have the black levels a little gray or there is an excessive amount of "black crush" that will take place. However, the gamma is also incredibly high and, there is no way to get it at the correct level without introducing "black crush" and losing a lot of the colours on the lower end of the spectrum. Again, I seriously urge anyone thinking of picking this set up to strongly reconsider doing so especially at it's typical price point of $349.99 as there are much higher quality TVs that are actually what the claim they are in this price range. I only payed $279.99 for it and, it was incredibly sub-par for even that price. I had high hopes for this TV based on the reviews (at another site) and specifications but sadly, it failed to meet any of those. Conn's however made the return hassle free and even tried to find a comparable model or something that they could adjust the price on. Unfortunately there just wasn't anything available at this time. They may have "lost the sale" but, I would certainly shop with them again. I decided to take pictures of the failed 4:4:4 tests and of a pitch black scene of video playback. I didn't take images of the multi coloured text because you can all picture what that looks like even if you have never seen it. Please forgive the crappy quality as the camera just refused to focus despite being in macro mode. You may not be able to see the light bleed image unless you shift your viewing angle and/or mess with your brightness/contrast. Just let me know if there is an issue viewing it. The light bleed. Please note the light I see isn't blue (like it was on the camera) but, this was the best I could mimic it. I also want to point out that the area on the bottom left isn't really there. That's a result of the screen "wash out" from the angle shift. 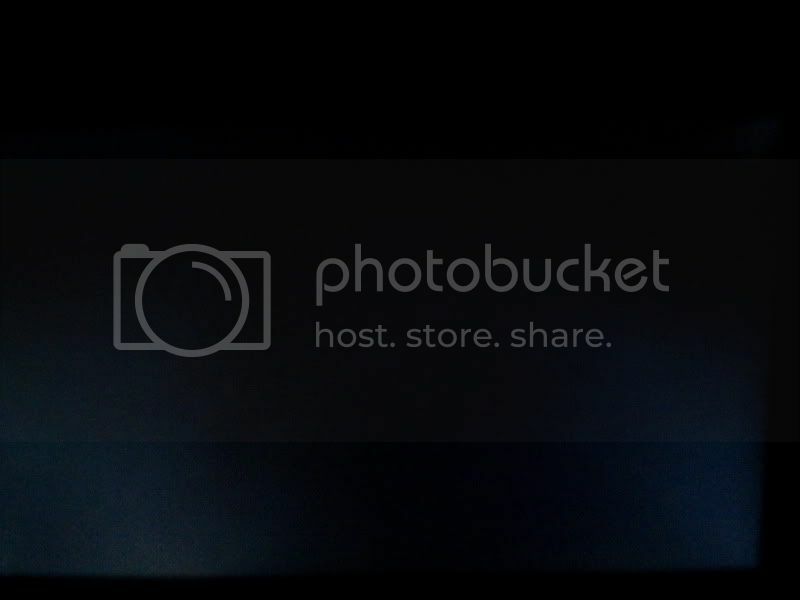 Likewise, a most of the lower right corner is also washout and not actually light bleed. If you move your eye level to either of those corners or their vertical sides, that area will darken. of course when you do this the middle of the screen will lighten (which is why I think this might be cross talk). 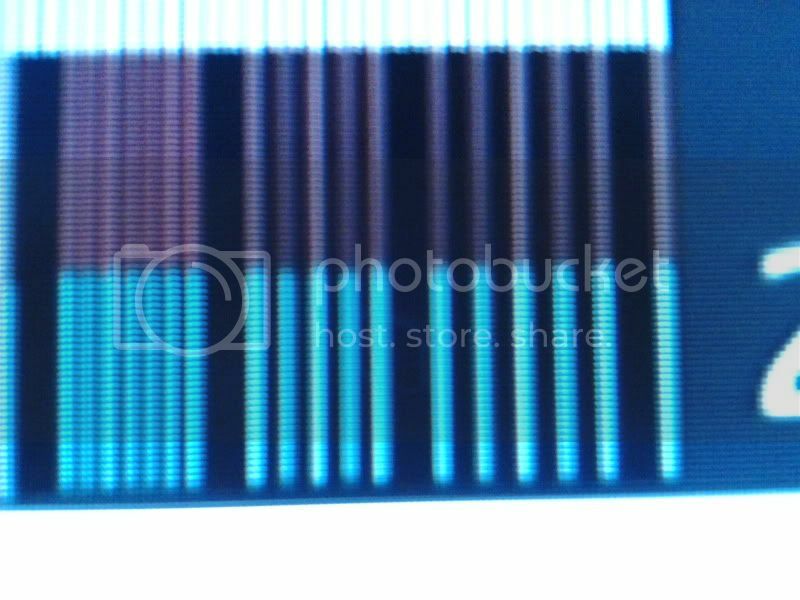 The image also didn't show the light bleed in the top left corner but, it's almost identical to the light bleed in the top right corner. Speaking of the top right corner, it's a bit more "intense" than the picture would lead you to believe. This image was also taken with the brightness turned down much lower than it normally would be so that the bleed could be seen clearly without the actual movie "darkness" affecting it. i've also been posting on [H], hoping someone can confirm my Samsung UN32D5500 is either passing or failing the belle-nuit test. pics taken with a low-quality camera. it looks like the adjacent sub-pixels are dimly lit. this could be due in part to the low-quality camera but i'm not sure of that. based on the pic above is this considered failing or passing the test? 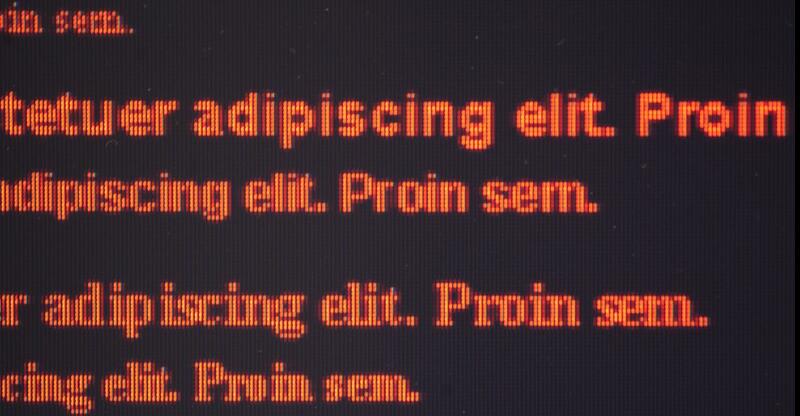 all text looks equally clear to me whether it be black text on white background, red text on black background etc. edit: also does it make a difference that my subpixel layout is BGR instead of the typical RGB? Hi Porter. Since you're from [h], I guess you already saw the discussion from Ryz about the black level low setting / black crush / pseudo 4:4:4. I don't think there was ever a definitive answer that came out of it though. Still, even if there is black crush, how's the severity of it? You can try lagom's black level test to see how bad it is -- link. 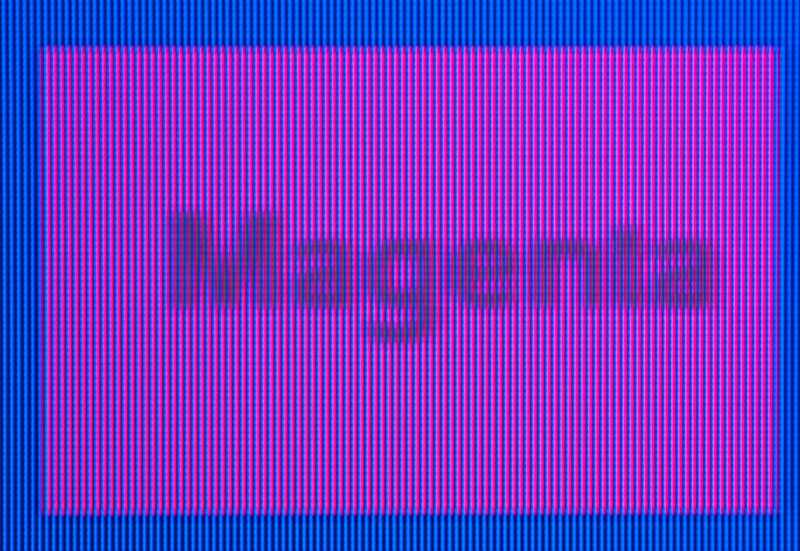 If it isn't too bad, I wouldn't worry about it too much, since your magenta result looks perfect. And subpixel layout doesn't matter. yeah i saw Ryz's posts. the black crush is bad with HDMI black level set to Low. no change in text clarity, text looks equally clear from one to the other. in the photo i posted above with it set to Normal, is that technically failing the test? i'm partially confused on what constitutes failing. for example can you explain what i should look for in Colmino's pic of his RCA 40LA45RQ which passes? there's clearly other columns of pixels dimly lit, not sure if that's along the same lines of my pic. From Colmino's pic, the RCA does not pass 444. 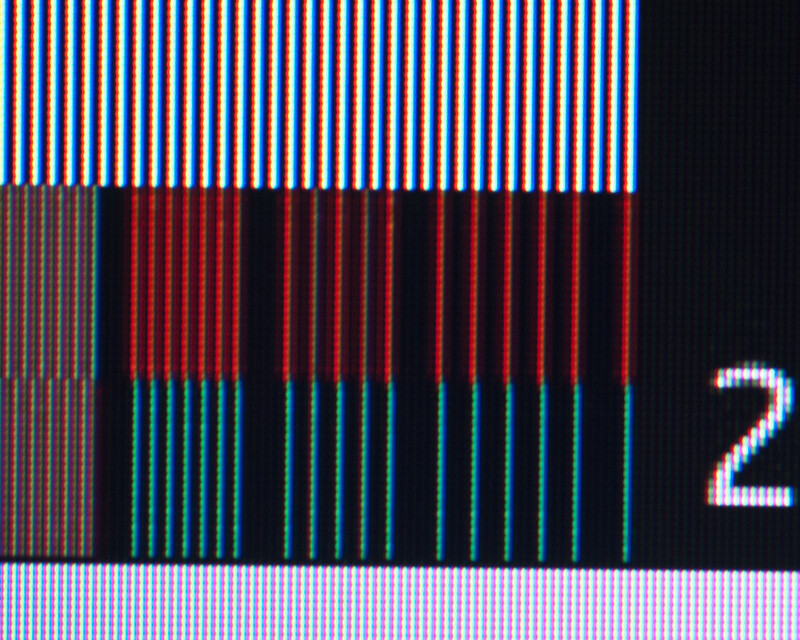 To the right of the bright red subpixels, you can see faded red subpixels. When comparing your 'black level normal' pic with Ryz's results, it seems your blue subpixel is lit, whereas in Ryz's case his green subpixel is lit. What happens if you bump the test pic by one pixel vertically? Is the subpixel still blue or is it now green? 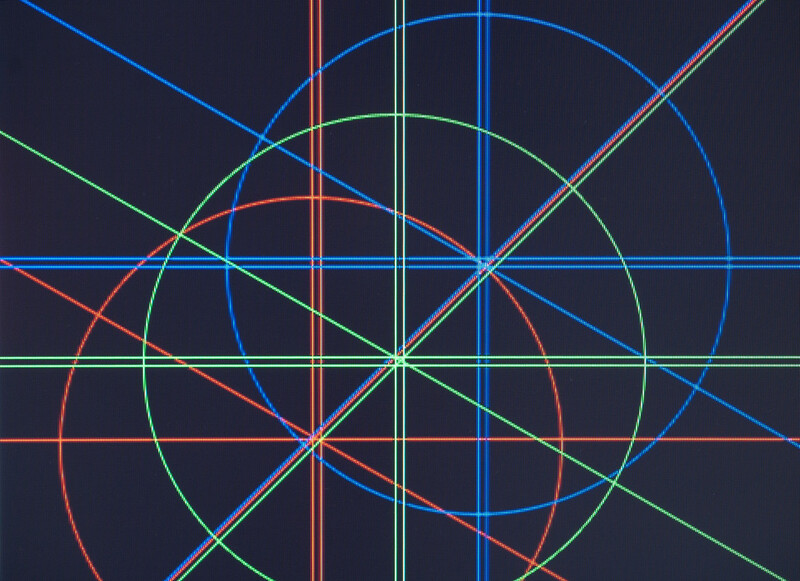 Also, there also seems to be a chroma anomaly where the red columns meet the blue columns -- where all subpixels are lit even though only the red subpixel should be lit. 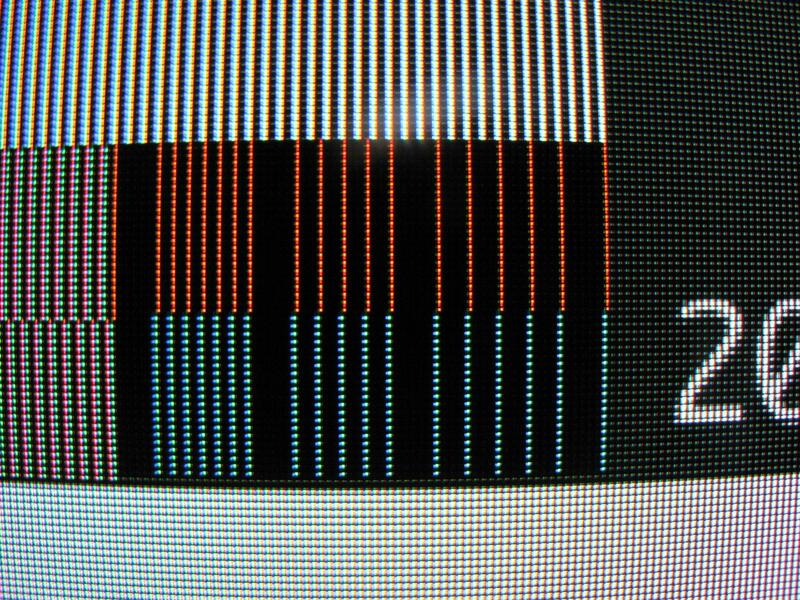 From my LD450 (link) and my laptop monitor, I don't see that anomaly. I need to check out some of those panel engineering spec sheets that Sjetski linked somewhere. What happens if you bump the test pic by one pixel vertically? 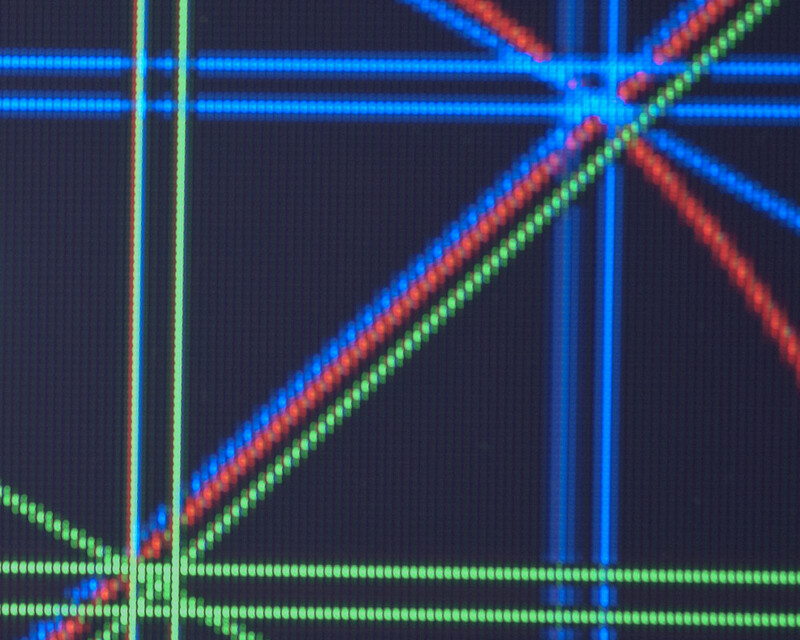 Is the subpixel still blue or is it now green? how do i go about doing that? while connected via HDMI i have no screen adjustment option, they're only available when connected through VGA. Samsung UE40D5000 supports 4:4:4 if input is labeled as PC or DVI PC on HDMI1 Port. Sound does not work. However Sound works if you use another label for your hdmi port (like GAME, AV-RECEIVER, ....), but 4:4:4 wont work anymore. Sound tested via Displayport-> HDMI Adapter on thinkpad x220. Furthermore, delay time (input lag) is quite low. 30ms lower than my laptop LCD and my BenQ G2420HD. Pretty nice! edit: sorry for bad picture quality (handy made). HA! Can anyone confirm or deny whether all versions of the LG LK450 tvs support 4:4:4, or is it just the S-IPS panels? I had two of them(32" and 42"), both passed 4:4:4 after i applied the famous EDID override fix. Apparently both the S-IPS and VA panel types for the LK450 support 4:4:4. This is the only post so far that indicates 4:4:4 using HDMI to HDMI with audio. Furthermore the BX520 is a good performer testwise for a 60 Hz model. So, what's the catch? Is it lag, viewing angle, or what? does anybody have LG LV4500 to test if it supports 4:4:4?? Actually, there's other TVs (by Samsung and Sony as referenced in the second post of this thread) that do 4:4:4 HDMI to HDMI with audio as well. 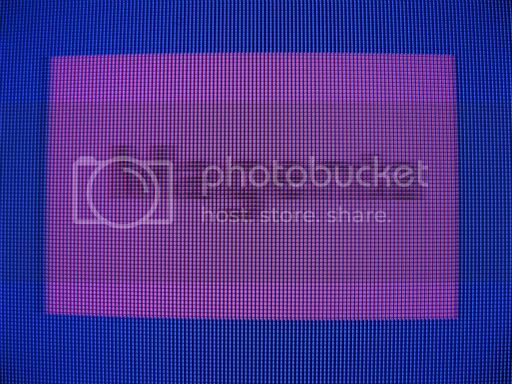 The catch on the BX520 I had was the black levels weren't that good, due to the panel being S-IPS. I now have a KDL55NX720, but I returned my Mac Mini to Best Buy so I can't test 4:4:4 via HDMI on this new TV at the moment. I will be able to test it soon, though. though this thread is populated with consumer displays, neither pro displays always support full chroma, as is the case with my 47LF20 Panny. Recently needed to use for small text, we realized RED and BLUE channels are subsampled, whereas GREEN comes out sharp. Connection: DVI to DVI driven by nvidia gfx, no scaling options. Any suggestion for workaround or hack into SM is more than welcome. Hi guys, I am not so into this issue but I bought a Pana 42gt30 Plasma Last week and found out that red Text looks a bit corrupted. I found out that the the Panel doesn't Support 4:4:4 or better 4:4:4 is being subsampled. Is there any Way for the me to get a Crystal clear Image from my computer by tweaking the driver changing the cable or is everything worthless with this Screen? Exept of this issue i Love this Screen. Sry for the capitalised ones, my IPhone is freakin out. is there a way to override EDID fix for Intel HD Graphics? You should complain at the better business bureau (if there is one in USA), the LF-20 is marketed as a display for use with computers, not a TV, and should be able to display a desktop in full 4:4:4. ...unfortunately i'm not in the US. Based in Greece, though this unit was purchased and shipped from Germany, complicating matters even more. 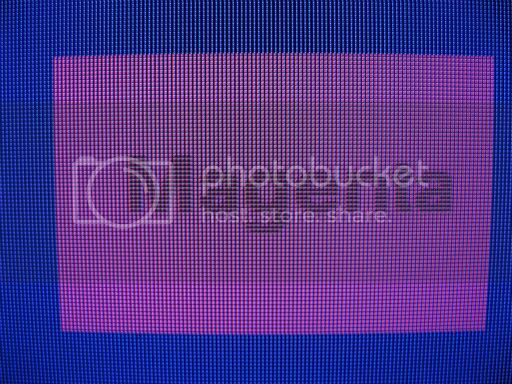 Panasonic Europe has not even replied to a few mails I sent them, and the local tech department say, first, I'm only covered by Panasonic DE, then that they do not know what this might be, defective panel etc, heard some stories that Green pixels are placed on top, then the blue one and last the Red ones, that is why they come out blurry(!!) and that I should not look at it that close these displays are made to be viewed by a distance.. Hopefully a firmware update or hack can fix this though no high hopes here..